I Fight For Cathy – Shepherdstown Fire Department, Inc.
Firefighter Cathy McCray is a volunteer with the Shepherdstown Fire Department, and a Firefighter-Technician with the Loudoun County, Virginia Fire and Rescue Department. Cathy was diagnosed with ovarian cancer related to occupational hazards associated with being a firefighter. 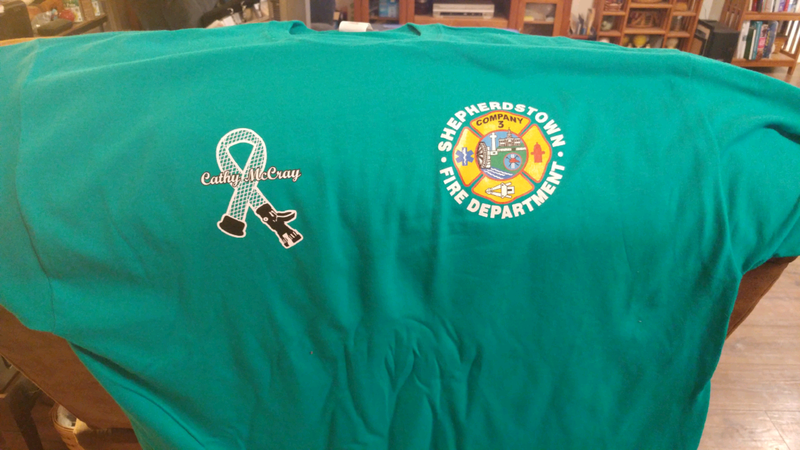 The Shepherdstown Fire Department has established a fundraising account in honor of Cathy, from which all proceeds will go to her, or a charity of her choice. 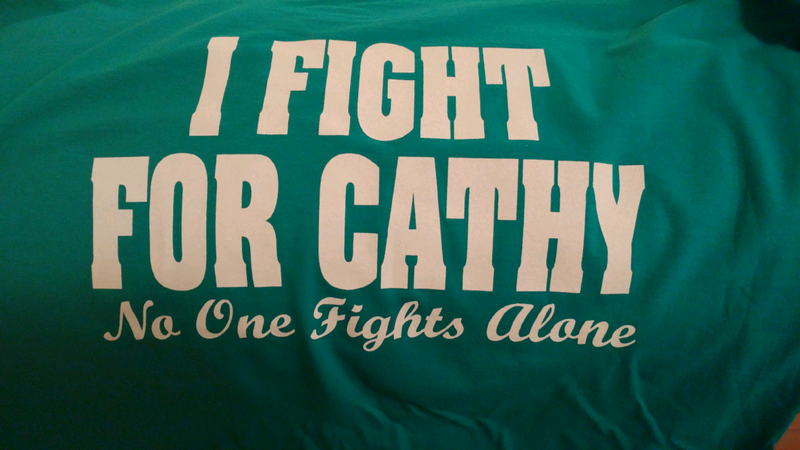 To facilitate the giving, the SFD has designed “I FIGHT FOR CATHY” t-shirts to demonstrate our support, and encourage donations to her cause. Please click on the “Buy Now” option below to order you shirt! Note: You must email us your desired size(s) after paying, and a $2 charge is applied for PayPal transactions. I purchased a shirt. I rather save $7. And pick up. Or donate that $7 to Cathy! I need a size Large please.